When stray and unwanted dogs are picked up, they are held in council pounds for the seven day statutory period to allow the owners to claim them, often dogs not claimed will be homed to the public by the pound, or they will have very limited time after that before they are euthanised. This is where dog rescues like Dog Watch UK step in to help. As soon as a termination date is notified, to prevent the dog being put down, rescues will try to make room to take dogs in. Dog Watch UK is one of a network of rescues in the UK saving dogs from pounds, they save dogs and pay for them to be boarded while they try to find Foster Carers who will look after the dogs until a permanent owner can be found. We are delighted to announce that they have linked up with Glades Football Club. 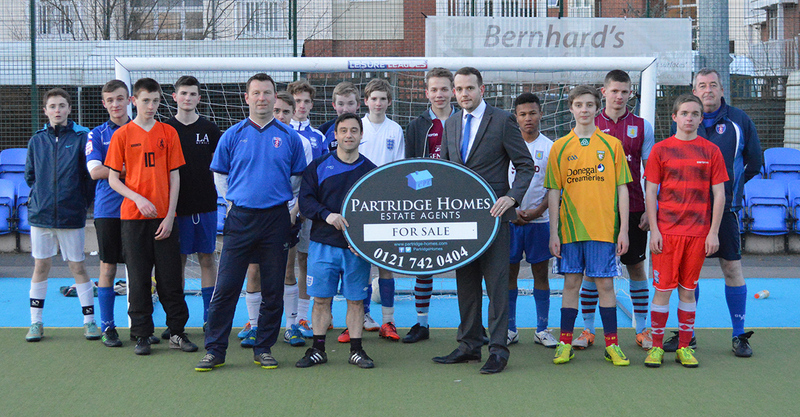 As a youth football club with 200+ players ranging from the age 6 to 16, it felt a perfect fit for Partridge Homes to add the Glades FC to their work within the local community. Paul Partridge from Partridge Homes commented “This Club has a real sense of community spirit from the moment you pull up to the ground located on Lugtrout Lane. Grass roots football traditionally survives on the generosity of volunteers and local businesses. We are looking forward to working with the Glades over the coming years and look forward to seeing the club continue to grow and offer local children a safe environment to develop their football skills”. 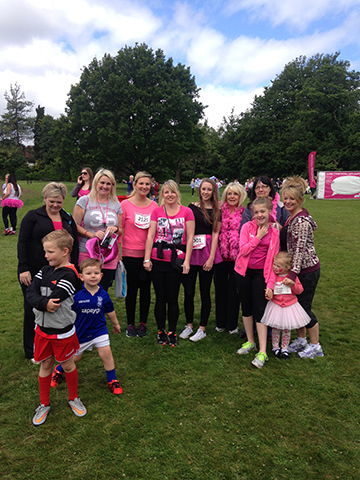 Cancer Research UK’s Race for Life is the largest women-only fundraising event in the UK. This is a something that is very close to our heart at Partridge Homes and the ladies in the office have completed the event in Solihull 3 years running raising hundreds of pounds for the Charity.